Dilip B. Bhosale And B. Manohar, JJ. B. Manohar, J. 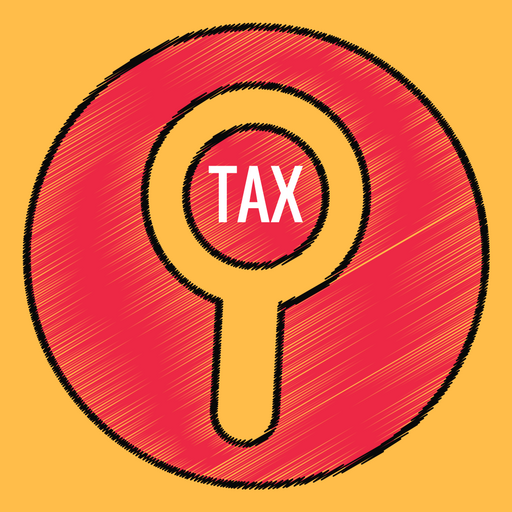 – The revenue has preferred this appeal under Section 260-A of the Income Tax Act, 1961 (for short ‘the Act’), being aggrieved by the order dated 22-9-2006 made in IT(SS)A No.186/Bang/2002 passed by the Income Tax Appellate Tribunal, Bangalore Bench-B, (hereinafter referred to as ‘the Tribunal’ for short) whereby the Tribunal dismissed the appeal filed by the revenue and confirmed the order passed by the Commissioner of Income Tax (Appeals) (hereinafter referred to as ‘First Appellate Authority’ for short), setting aside the order passed by the Assessing Authority pertaining to the Block Period from 1-4-1989 to 28-1-2000. The respondent is a Partnership Firm, engaged in the business of construction of building and development of properties. The Firm came into existence from 28-01-1998. A search was conducted on 28-01-2000 under Section 132 of the Act in the business premises and residence of the Managing Partner of the respondent-Firm, Sri. Nagendra Baliga, who is a Jeweller by profession. During the search, certain documents like bills of material purchased, labour charges paid and the cheques relating to the assessee-Firm were found and seized. On the basis of the said records, notice under Section 158-BD was issued calling upon the respondent-Firm to file their returns for the Block Period from 01-04-1989 to 28-01-2000. The assessee-Firm filed return of income on 30-11-2000 declaring ‘NIL’ income. On the basis of the said returns, a notice under Section 143(2) and 142(1) of the Act was issued calling upon the assessee to produce necessary documents. An authorized representative of the assessee appeared and produced the computerized books of account. As per the records produced by the assessee, the assessee-Firm had started constructing two buildings, i.e. Vasudev Towers and Vasudev Plaza. Vasudev Towers was nearing completion and Vasudev Plaza was just started at the time of search. The assessee contended that the building is yet to be completed. The expenditure incurred for construction of the building has been mentioned in the books of account. The authorized representative of the company contended that they have incurred expenditure of Rs.42,15,111/- towards construction of Vasudev Towers and Rs. 4,49,386/- towards Vasudev Plaza as on the date of search. The Assessing Officer in order to verify the expenditure incurred for the construction of buildings, referred the matter to the District Valuation Officer (for short ‘DVO’). The DVO submitted a report estimating the cost of construction of two buildings at Rs.64,71,483/- and Rs.4,72,426/- respectively. The Assessing Officer taking into consideration the difference of cost of construction of the buildings as undisclosed income at Rs. 20,97,351/-and assessed to tax for the Block assessment period by its order dated 28-06-2002. 3. The assessee being aggrieved by the order passed by the Assessing Authority preferred an appeal before the Appellate Authority in ITA No.236/2002-03, contending that the order passed by the Assessing Authority is contrary to law. The report submitted by the DVO is also contrary to law. The Appellate Authority after considering the matter in detail held that the difference between the valuation adopted by the assessee and the DVO was a matter of opinion based upon which, the undisclosed income computed on such opinion cannot be brought to tax in the block period. Accordingly by its order dated 16-09-2002 allowed the appeal in part and set aside the order insofar as the block assessment period is concerned. 4. Being aggrieved by the order passed by the Appellate Authority, the assessee-Firm as well as the revenue preferred appeals before the Income Tax Appellate Tribunal, Bangalore in Appeal Nos. 186/2002 and 8/2003. The Tribunal, after considering the matter in detail dismissed both the appeals filed by the revenue as well as the assessee-Firm upholding the order passed by the Appellate Authority. The Tribunal held that no material was found during the search to indicate that the assessee has not recorded the expenses incurred on construction in the books of accounts. In the absence of any seized materials addition cannot be made only on the basis of the Valuation Officer’s report which is less than 15%, no addition can be made. Accordingly, dismissed the appeals by its order dated 22-09-2006. Being aggrieved by the said order, the revenue has preferred this appeal. 5. Sri. K.V. Aravind, learned counsel appearing for the appellant contended that the order passed by the Tribunal as well as the First Appellate Authority is contrary to law. The finding of the Tribunal that the difference in the cost of construction of buildings as valued by the DVO and the value accounted by the assessee is less than 15% is contrary to law. The Tribunal failed to appreciate that the percentage of difference should be reckoned with reference to the actual cost as per the assessee’s books and not after giving effect of telescoping the suppressed sale consideration. The further finding of the Appellate Authority that the difference in cost of construction based on valuation report shall not constitute undisclosed income as per Chapter-XIV-B is contrary to law. He relied upon a judgment reported in the case of Manish Maheshwari v. Asstt. CIT  289 ITR 341/139 Taxman 258 (SC) and sought for allowing the appeal. 6. On the other hand, Smt. Vani H, learned counsel appearing for the assessee supported the order passed by the Tribunal as well as the Appellate Authority and contended that the documents seized during the course of search are not incriminating in nature, but they were maintained in the normal course of business. No material was found at the time of search for initiating proceedings under Section 158-BD of the Act. The difference of valuation cannot be a ground to initiate proceedings under Section 158-BD i.e. block assessment period. In support of her contention, she relied upon the judgment reported in the case of Asstt. CIT v. Hotel Blue Moon  321 ITR 362/188 Taxman 113 (SC) in the case of CIT v. Vinod Danchand Ghodawat  247 ITR 448/114 Taxman 90 (Bom.) in the case of CIT v. Ashok Khetrapal  294 ITR 143 (Delhi) in the case of CIT v. Bimal Auto Agency  314 ITR 191 (Gauhati) and sought for dismissal of the appeal. “1. Whether the Appellate Authorities were correct in setting aside the Block Assessment based on the material detected in the course of search in the case of the partner who had informed that undisclosed income had been contributed by him in putting up Vasudev Towers which building on being valued by the District Valuation Officer, disclosed that there was difference in the cost of construction from that which has been declared which had been brought to tax in the blocks-period correctly by the Assessing Officer ? 2. Whether the Appellate authorities were correct in proceeding to hold that the valuation arrived at in respect of Vasudev Building by the District Valuation Officer was a mere opinion and the same cannot be taken in to account for the purpose of bringing the difference in the valuation of the building as the undisclosed income for the Block Period without actually examining the correctness of the finding recorded by the Valuation Officer ? 8. We have carefully considered the arguments addressed by the learned counsel for the parties and perused the orders impugned in the appeal. 9. The records clearly disclose that search was conducted in the residence and business premises of Sri. Nagendra Baliga, who is one of the partners of respondent-Firm. During the course of search, the said Nagendra Baliga made a statement that he has invested a sum of Rs.65,00,000/- for construction of the buildings. On the basis of bills of materials purchased, labour charges paid, cheques relating to the assessee-Firm found during the search, a notice was issued under Section 158-BD calling upon the assessee to file the return of undisclosed income for the block period 01-04-1989 to 28-01-2000. The assessee filed NIL returns. Thereafter, a notice was issued under Section 143(2) and 142(1) of the Act. The construction of the buildings by the assessee-Firm was referred to the DVO, for valuation under Section 133(6) of the Act and for estimating the cost of construction of two buildings. The DVO submitted a report on 15-04-2002. There was difference in valuation by the assessee-Firm and the Valuator to an extent of Rs.20,97,351/-. The assessee-Firm filed objections to the report of the DVO. Comments were called for from the DVO. The DVO by his further report dated 12-09-2002 rectified certain mistakes and gave certain benefits to the assessee and he had not offered any comments for some objections. In view of that, the Assessing Officer added the said sum of Rs.20,97,351/- to the undisclosed income and assessed for tax. This entry was posted in Sec. 158BB and tagged 363 ITR, block of assets, In favour of Assessee, Karnataka High Court, undisclosed income.